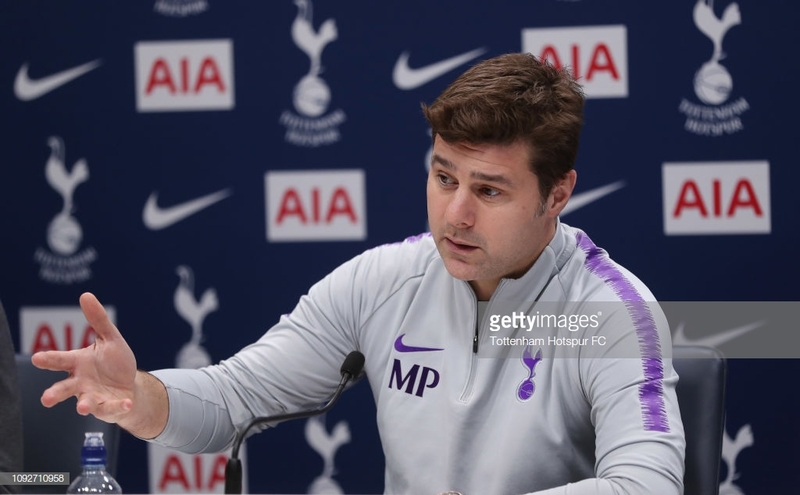 Mauricio Pochettino showed his feisty side in Tottenham Hotspur's pre-match press conference after a journalist asked if he was happy not to have signed any players. Spurs host Newcastle United on Saturday in the weekend's early kick-off. Both sides enter the game on the back of positive midweek results but both have shown a habit of trailing at half-time. "You need to improve, if we can’t add I am not going to be sad, I am going to be happy to work with my players and young players and I am so positive that we can win without or with a signing. "I want to win for my CV, I want to win for my fans, for my players, for my family too," he said. The Lilywhites endured a torrid time last week after finding themselves dumped out of both the Carabao Cup and FA Cup. "People get a bad feeling, not any manager or player, you know why players arrive in the first team? Because they are so competitive and want to win. "I am in football because I want to play good football and not win? No. "We want to touch glory, what we want is touch glory, we aren’t here for business or because we want to win money, we start our careers because we want to touch glory," the Argentine added. "I think that is why the Premier League is the best, it's the most competitive because of the schedules and the fixtures. "We play Thursday in the Carabao Cup against Chelsea, Sunday at Crystal Palace, Watford played Saturday so we had one less day and now we will play a team that signed players in the window and had one day more," Poch said. Tottenham beat the Magpies in their first game of the season to see themselves off to the perfect start. "That reduces or put us more in the same level like what happened with City. "That’s why people appreciate a lot the Premier League, the Premier League is the most competitive and so difficult to win and achieve top four. "It’s so competitive and is the toughest in the world," the 46-year-old added. Harry Kane released a video via his social media accounts on Thursday showing the striker back up and running. "I cannot tell you if he is ahead of schedule or not. We assess him day by day but he shows on social media a video that looks very strong and very fit and very well." Kane suffered ankle ligament damage against Manchester United in January. "He’s running and doing some exercise so I think you know very well that he’s very strong and is a guy that puts 200% to try be back as soon as possible. "His determination is to try recover as soon as possible and be available as soon as possible. "We’ll see, we need to assess day by day week by week, but we are happy," Pochettino finalised.